I date, but the person I date most is myself, unfortunately. I drink a gallon of water a day. I just thought acting would be something to help out with my student loans, but my first year as an actress, I made more money than my parents. That’s when I realized it could turn into a career. After that, I put everything I had into it. Hollywood panders to the 18-to-34 crowd. That demographic doesn’t care about race and the package it comes in. They care about the hottest chick. They just like hot chicks. I don’t function well in chaos, whether it be my sheets or the dishwasher. I don’t get enough sleep so I always have undereye bags. I love TV. I love the stability of it. I think I’m drawn to more villain-type characters, because it’s so cool to get to say all the things you want to say. In Hollywood, you get to this position where you have to bite your tongue so much. You take all your experiences of not being able to say what you really want to say, and channel that through your character. 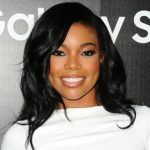 Gabrielle Union was born in Omaha, Nebraska, USA. She is an American actress. She began her career in 1990s, appearing on television sitcoms, before landing supporting roles in teen comedy films She's All That and 10 Things I Hate About You. Her breakthrough role was in the 2000 teen comedy film Bring It On, after which she was female lead in the short-lived CBS medical drama series City of Angels later that year. She is best known for her performances in the romantic comedy films The Brothers, Deliver Us from Eva, Daddy's Little Girls, Think Like a Man, and Think Like a Man Too. In 2013, she began starring as lead character in the BET drama series, Being Mary Jane, for which she has received critical acclaim and NAACP Image Award.